You see from 2002 to 2008 HBO aired a gritty cop drama set in Baltimore called The Wire. It’s all about the war on drugs, and it’s supposedly totally realistic. And, my friends watch it and can sprinkle tough guy street language and drug references into our everyday conversations, and I just stop and say “damn” maing you been doin’ some hard life livin’. But, then I remember they just park they asses on the couch and watch the box set. Don’t believe me it’s gritty, check out the headshots of the cast and crew. That’s the real deal. Scroll down and look for a dumpy, dreadlocked man. 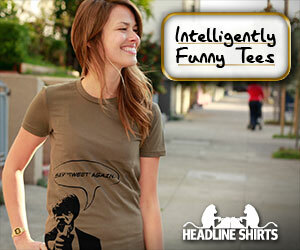 That’s the Proposition Joe portrayed on this shirt. 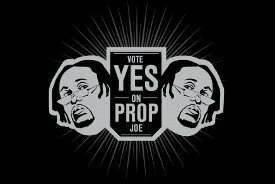 Unfortunately, with my three and a half minutes of superficial Internet research, I can’t figure out what the hell this Vote Yes for Prop Joe Shirt means, but that shouldn’t stop you from buying it. That’s a no brainer. Actually, it may be nothing more than a wordplay on this characters name: Proposition. You vote on those things, so lets vote for Prop Joe, since he’s got the best dope. Busted Tees took it to the streets and down to the wire on this one. Better believe.